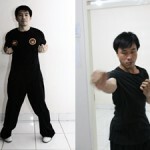 Tradisional Ip Man Wing Chun (TIMWC) Indonesia is a registered, independent Wing Chun organization based in Jakarta, Indonesia. 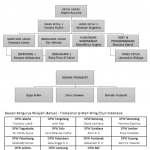 Previously known as Brotherhood of Wing Chun (BoWC) Indonesia, Tradisional Ip Man Wing Chun Indonesia is now acknowledged as a legal institution in Indonesia, with document number 5. Create generations who appreciate art and culture legacy, responsible to themselves and to the society. 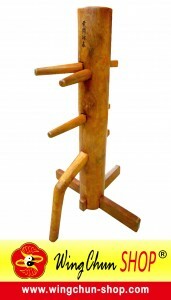 Introduce authentic, traditional Ip Man Wing Chun to anyone in Indonesia without discriminating at social status, religion, race or wealth. 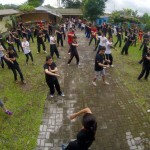 Internationally, TIMWC Indonesia aims to make Indonesia a proud country, by building relationships with other wing chun practitioners overseas through seminars and visits, and also by representing Indonesia in international championships. To date, TIMWC Indonesia is proud to have disciples who won the 2nd Ving Tsun World Tournament held by Ving Tsun Athletic Association (VTAA) in Hong Kong, on the 12th of April 2014. For more information, click here. This accomplishment does not mean that TIMWC Indonesia stops evolving here. 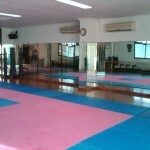 Instead, TIMWC Indonesia is more eager to search, learn, and share the authentic, traditional Ip Man wing chun with anyone and everyone in the world. 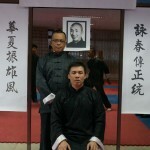 As a registered community organization, Traditional Ip Man Wing Chun (TIMWC) Indonesia is consisted of the below individuals as the board of organizing committee effective from 6 October 2014 to 6 October 2019. Organizing committee will be re-elected every 5 years.